» So how's your "Ticker" holding up? If someone asked you today "How's your ticker holding up?" could you respond with confidence? Would you reply with "I don't know!" 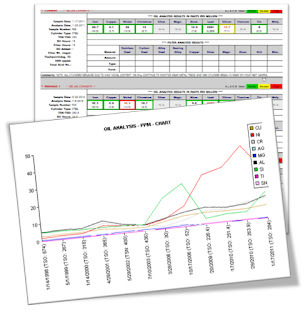 or would you be able to provide a quick breakdown based on your last diagnostic report? What about your airplane’s “ticker”? Could you respond with confidence about either "ticker's" health? If not, don't feel bad. The truth of the matter is, many people are not fully aware of the state of their own health, let alone that of their aircraft's. This is typically due to an "out of sight out of mind" or "if it ain't broke don't fix it" mentality. And in many cases, our bodies and planes will "appear" to run/operate just fine on the outside, while on the inside things are wearing down. One of the best early warning diagnostic tests for the human “ticker” is a blood test. While not necessarily a definitive test, often a blood test can provide insight, or an early warning, of something more severe going on internally. What makes this test so important is that it is relatively easy to do, it is relatively inexpensive, and it may highlight the onset of a serious “ticker” problem so it can be treated early, before the problem becomes much worse. Blood analysis is a basic analytical test, regularly and routinely used to spot oncoming health issues. Early warning means early treatment, which in turn helps lead to a longer life. The same philosophy is true for your airplane’s “ticker”. There are simple analytical tests that help diagnose problems in your engine before they become severe and require significant down time and repairs. Oil analysis – the “blood test” of an engine - may diagnose certain abnormal wear modes inside the engine. 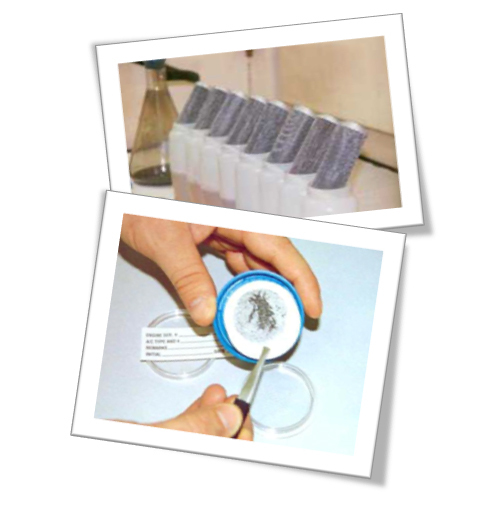 Oil analysis is the basic analytical test, and should be used regularly and routinely to spot oncoming health issues. Again, early warning means early treatment, which in turn helps lead to a longer life. Taking necessary maintenance precautions may contribute to longevity, however do these measures completely eliminate failure? Probably not. Just as a blood test may not signal an oncoming heart attack, oil analysis may not indicate an oncoming catastrophic event. But whether it’s a blood test for your heart or an oil test for your engine, it may give a forewarning of trouble, and NOT doing it will never see the event coming. The critical issue for ongoing “ticker” health is routine check-ups, including blood tests, to monitor trends happening “inside” It’s the same for engines; routine check-ups, regular maintenance, and oil analysis testing is critical for monitoring the health of your airplane’s engine. Not to stretch the analogy too far, but a comprehensive blood analysis requires a good human lab, a lab that focuses on the human “machine”. Even though the equipment is similar, you wouldn’t send your blood work to a veterinary lab to be analyzed; their focus is on dogs, birds, and cattle. These labs may have very good technicians and very good equipment, but their focus is on something different than human blood testing. In the same way, aviation oil analysis requires a good aviation lab. Other labs may have similar equipment and do similar tests, but the labs doing oil analysis on buses, trucks, and heavy equipment have a different focus and different expertise than does a lab focused solely on aviation related engines. Aviation Laboratories is an AVIATION ONLY laboratory. Our expertise, instrumentation, and analytical techniques are designed specifically for aviation related engines of all types. As a company with nearly 30 years of expertise in aviation specific fluid analysis - oil, oil/filter, fuel and hydraulic fluid - Aviation Laboratories (AvLab) has worked with many customers who, for a variety of reasons, originally decided to forgo regular/ongoing oil analysis. Some assume their engine will never let them down...just because. Others assume because they don't fly often, they don't have to do regular analysis. And then there are those who assume because they change their oil regularly, they don't need fluid analysis. Inevitably, many of these customers eventually come to us with costly – preventable - repairs. 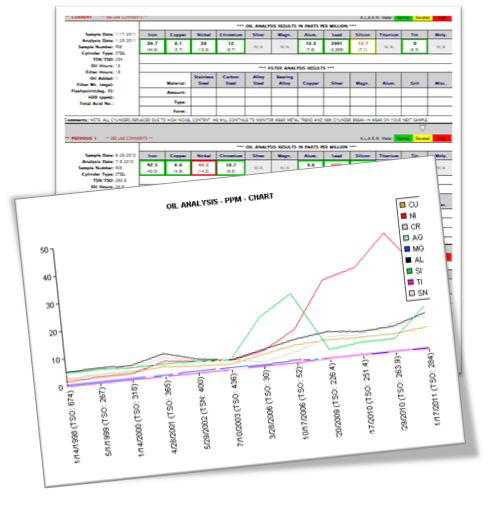 The truth is that even with oil analysis, an engine's health and reliability can be unpredictable, but if oil analysis is not regularly performed, that unpredictability becomes, well, more predictable. And while changing oil regularly is a necessary contribution to preventative maintenance, it certainly doesn't eliminate the need for regular oil analysis; and so, should be implemented in conjunction with regular fluid analysis, and other preventative measures, as part of a comprehensive preventative maintenance program. replacing it with new oil can only further complicate the problem, as you are getting rid of the debris evidence required to determine engine wear, which is detected in oil using analysis. Don't dump it...send it in! There are answers in the oil! One more thing: If you have been diligent with your maintenance you will most certainly save your records for others to see if you sell the aircraft. How much more valuable will those records be if they include an ongoing record of routine fluid analysis? Presenting a "Clean Bill of Health" for potential buyers offers a sense of reassurance and confidence in potential ROI. And the same applies when buying a new aircraft. You want to know that you are getting the best for your money spent; so demand a "Clean Bill of Health". Don't wait for the signs, be proactive...get started now! Below are several lab testing options for getting started with a routine fluid analysis program as part of your overall maintenance program, that may keep your plane around for some time. Your program should be comprehensive, including multiple measures performed regularly in order to achieve maximum, most accurate results. Know the state of your "ticker" (both of them!). 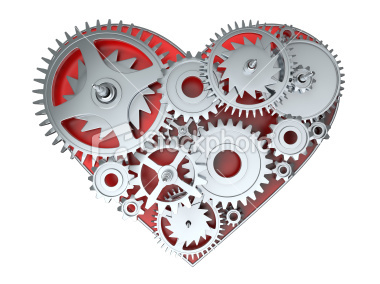 Much like the human heart, regardless what you do to maintain your engine's health over time, if you don't keep an eye on its performance on a routine basis, you'll find the end result very costly, both in time and money. So, when someone asks, "How's your ticker holding up? ", confidently email or hand them your AvResults printed analysis report found at www.avlab.com (or a report from whomever you test with) ...or simply, but confidently answer, "Per my last analysis report, everything seems to be trending perfectly fine, thank you!" Never mind if they weren't asking about your plane...the point is that you answered with confidence! Please feel free to check us out at www.avlab.com to learn more about our services. We'd be happy to assist you with establishing a fluid analysis program, as part of your existing efforts. "Five members of the U.S. House, citing..."
» Packing for "Fun in the Sun"
So its that time of year again...Sun-n-Fun's Annual Fly-In Extravaganza in beautiful Florida! Okay, so I added the "Extravaganza" part, but from what I've heard, its quite a show. In fact, non other like it...again, so I've heard! As you can more than likely tell, I've never attended a Sun-n-Fun Fly-In. More importantly, I've never been away from my family or home for more than 4 days! So the question occurred to me...what (and how) do you pack for such a trip? business cards...am I missing something? I'm sure! And I am so used to having all three of my daughters tagging along behind me, I think I may feel inclined to pack one of them away as well, just for the feeling of comfort! The thought of being away for so long and the fear of leaving something important behind is quickly increasing my anxiety! It's not like I could ask the pilot to turn the plane around if I were to leave something behind! What a scary thought! However, regardless to my level of anxiety, my packing "To Do List" couldn't possibly be as involved as that of a pilot flying himself to the show. Not only does a pilot have to be concerned with packing his/her personal belongings, he/she is also responsible for packing those necessities associated with flying: safety gear, paper work, inspections, compliances, etc. etc. Sure, you veterans probably have it all down to a science, but what about the new pilots going on their first Sun-n-Fun venture? How can they ease their anxieties and fear of being thousands of feet in the air, only to find out hours later that they left their entire suitcase in their hangar! How horrifying! 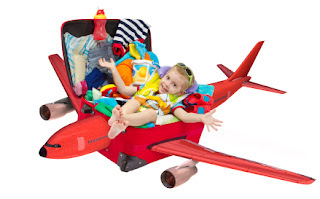 So, I thought I'd ask all of you: What do you pack for Sun-n-Fun "Extravaganza" and for you pilots, can you offer any tips for other pilots - new and old - as to the best way to organize for the trip as well as PRE-TRIP PREPS and any MUST HAVES while traveling to AND while at Sun-n-Fun. Also, please share your stories of instances where you did, in fact leave behind something of importance! Experience can be the best lesson for some! You can check out Owner Responsibilities at AvLab.com for a list of important information to have for your flight or visit http://www.faa.gov/ for more information. Please feel free to include other helpful links or references. We are one week away...the anxious, anxiously await your guidance! » AvLab's In It For The Long Haul! 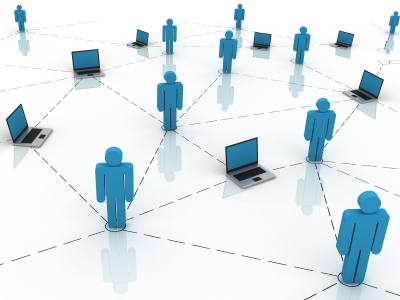 Social networking, when used effectively, can be a wonderful tool for sharing worlds. It opens you up to the lives of so many people from all over the world. You gain brand exposure, learn about different companies, different parts of the world and if you're lucky, you get to know some really cool people! Long lasting relationships are formed and magic is made! But, when used ineffectively, it is simply a numbers game: you go after several, get to know a few and hope one will buy from you or visit your website at the very least. And you build this "network" based on common professional interest - he has a plane, I offer aviation products, services...match! An endless attempt to rake in as many followers, fans and connections whom you share a common interest with only to say at the end of the day, you've got one billion, seventy five million, eight hundred and ninety two thousand, six hundred and four fans, followers, connections...but only really, truly know two hund...no...just two! And at best, you've convinced a few more than two to actually purchase from you, however, they never come back or refer anyone to your company. Something about having - literally - the whole world at your fingertips and not getting to know people who take interest in you or your company seems to me disheartening to say the least. When the task of growing your network by the numbers becomes the main objective, what Social Networking has to offer seems less magical. Just the other day it dawned on me as I thanked Aviation Laboratories' (AvLab) now 562nd follower (we're so excited...Aviation Laboratories is sincerely grateful for our followers), for following #TheAvLab via twitter I realized that was what my efforts, as Marketing Manager, amounted them to...just a follower. I was spending hours each day - okay, some days not quite as long - sifting through profiles, trying to identify potential customers and distributors, responding to followers and after all of that hard work, I still really didn't know who was in our social network. I thanked them for following and moved on. Though monotonous in nature, it was very time consuming especially as the number of fans, followers and connections (FFCs) continued to grow. And the more that number grew, I found myself in a bitter sweet state: Intrigued by the people of Twitterverse who chronicled their world travels, the fans of Facebook who shared their personal lives outside of their 9-5 and the professionals of LinkedIn who were so involved and passionate about their careers; however, at the same time I was overwhelmed by the fact that I allowed our number of FFCs to grow so quickly without making the time to fully engage with them and share more about myself and Aviation Laboratories. I realized, "Wow! These are amazing people, doing amazing things, living amazing lives and I want to get to know them and them get to know me and Aviation Laboratories!" It wasn't enough to just say, "Hey, thanks for following us. Check out our website!" I needed to tell them why we were so great and why they should be part of the AvLab Experience! I was spending so much time trying to get customers to become FFCs and less time really reaching out. This revelation caused a shift in my approach. It was then decided, from now on, no more touch and go with our social network...AvLab's in it for the long haul! Now don't get me wrong, AvLab would very much appreciate buying FFCs. Absolutely! In fact, one of the primary objectives of social networking is to gain FFCs that will eventually buy from you, however it is also to create opportunities to fully engage and develop professional mutually beneficial relationships. Anyone can purchase from your company...but will they come back? Wouldn't it be great if your FFCs became customers AND a long lasting relationship was established during the process, which would naturally progress to a long time, loyal customer who would then send tons of referrals (one could only hope!). Wouldn't it be great if while at the Sun-n-Fun's Fly-In, you could chat with John Doe about his recent purchase of a 5-gallon pail of DICE Flash 190 fueling inhibitor AND how wonderful the Back to School Supplies Drive/Golf Tournament you both co-sponsored turned out; or visit with Mr. Brett Cramer at the AOPA Aviation Summit about the results from his recent laboratory analysis but ALSO, laughed about how the lights went out at the conference you both co-presented at, for student pilots and aviation mechanics; or direct message Judy that you hope her daughter made the cheer team AND by the way, thank you for the recent referral. What a sustainable and effective way to create long lasting relationships that bring true value to the company. It is truly a win-win situation! But establishing these type relationships is no easy feat. In fact, the time it takes to really get to know someone across social media streams does take hours...lots and lots of hours! Its a very challenging and involved task; however it can be rewarding and worthwhile! I wouldn't for a moment imply that getting as many FFCs as possible is not important. The numbers do count if you work hard at turning those FFCs into long lasting relationships. And yes, some FFCs will remain innocent bystanders, satisfied with your posted news flashes and updates and need not to be bothered about much else (and this okay). But it should be a conscious effort to turn most FFCs by number to real FFCs by design. This means, less time spent focusing on the numbers game in social media and more time on developing real relationships with real people. One by one, follower by follower, fan by fan, reaching out to them, uncovering common interests that go beyond product/service line and beyond the virtual world if possible. If you follow and they follow back, more than likely you've already established a level of common interest based on product/service offerings. The next step is to dig a little deeper, learn about what's going on in their part of the world, become a little more transparent, and get to know the world. After all, it is at your fingertips! Engage professionally. First, foremost and most importantly, always, always, always remain professional while engaging. Remember, eventually your FFCs may become your customers so you must still maintain a level of professional acumen. But don't be afraid to inquire about the world your FFCs share with you online. More than likely, these are professional connections anyway, so maintaining professionalism shouldn't be too difficult! Pick your Top 10. You've got to start somewhere...baby steps. Between this week and next week, pick 10 people from your FFCs to truly get to know. These should be FFCs whom you've already established a common interest with based on your services/products. Offer transparency. Share pics of company staff having fun or creating products. Share something about yourself. "I've always wanted to visit Moscow" or "I saw in your profile pics you have a pug...so do I. Does yours chew through your sofa too?" Trade expertise/Request expertise: "I noticed you are marketing director with your company. I am a marketing manager with my company. Tell me, what do you think is most effective for driving traffic to your site: Twitter or Facebook...I need your help?" Offer referrals. Suggest to your FFCs other companies that may be able to assist with other needs they may have expressed in previous postings. Also, refer your FFCs products, services to other FFCs in your network. Help them grow. Acknowledge their personal world. Comment on their pics/postings. Everyone likes their egos stroked...I know I do! Share their posts and their pics. But this is a very gray area...this has to be genuine interest. The idea is to move away from "going through the motions" to being proactive about what you want to learn and know. Have fun getting to know your FFCs. Share expertise. Personalize articles and information related to your FFC's interest: "John, I thought you might like this article because I saw a post of yours that said you were having trouble with your plane's engine. You may need a fluid analysis before you consider that overhaul you mentioned! Check it out!" Make em' Laugh! It is my personal experience that sharing personality, especially humorous personalities, goes a long way in social media (well for me at least...I love to laugh!). Be sarcastic, share a joke, share funny pictures or articles. Just remain professional and tactful! Identify opportunities to collaborate. Postings typically share where your FFC will be presenting or conferencing or volunteering. Discover opportunities to meet or collaborate. If you're going to be at OSH-KOSH, let you FFC know: "Hey, saw you were going to be at OSH-KOSH next month. I will too! Look for me at booth #4103"
Stay in contact. Again, managing FFCs is a very daunting task so its important to maintain a tickler system or schedule for following up. DO NOT LOSE CONTACT! If they do become a customer, get their birthdate, send them birthday cards. Personalize the relationship and keep it genuine and keep it going! Know when to move on. If an FFC doesn't seem interested in getting to know more about you and your company, move on! These efforts will only work best with FFCs whom you have strong common interest in, preferably, closely related to your professional interest. Remember, while for some, your primary objective may be to gain new customers, the key objective is to be sincere and establish long lasting relationships. Customers will naturally follow. And less direct is best while social networking. FFCs in the social media world do not like to be sold to, so keep this process subtle. You can offer promotions to individual FFCs in hopes to add them to your email list, but make certain to ask first. The goal here is to turn FFCs into FFCFLs (Fan, Follower and Connection for Life)! Aviation Laboratories wants to get to know our FFCs and we encourage you to do the same with your FFCs. Share your experience with our fans on Facebook and hash tag #FFCFL via Twitter to shout out to your favorite FFCFL. And if you want to get to know us first, tweet "Hi #FFC" to us at #TheAvLab via Twitter or http://www.facebook.com/aviationlaboratories. You can also find us at http://www.linkedin.com/aviation-laboratories. Make your next connection a lasting one! » AvLab's Clear View - All pun intended! The Aviation Industry offers an infinite range of products available for sale, especially in the virtual world. And as technology continues to advance, this product range continues to grow. There is a product for virtually everything! Need aviation filters for your airplane, check out Tempest Filters. Need avionics, check out Garmin. Headsets? Check out Bose...they've got you covered! Need a new plane? Gee...the pickings are vast, so let's go with Trade-A-Plane for the classifieds! The providers of these products are in a very competitive market, as product selections are expanding rapidly, and in most cases within the same product group. This means convincing the consumer of the price/performance advantage or the product's USA - unique selling advantage. In some cases this is extremely easy - an apples and oranges type comparison. Making the case of which is best is simple when your product differs considerably from the competition. But in most cases, product comparison is an apples to apples type comparison - same make up, same functionality, same product essentially, only differentiated best by brand recognition and maybe price point. And so, effectively differentiating yourself based on price point alone becomes somewhat of a fine art; requiring the design of a pricing scale in the most appealing way possible, so that it actively encourages purchases. And defining a strong product/brand image can equally require fine craftsmanship and strategic development! 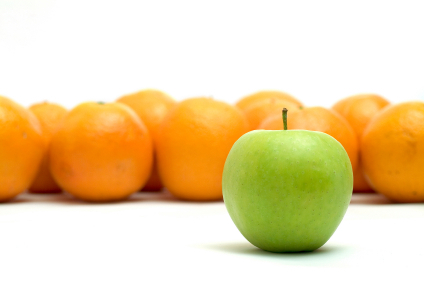 Whether you opt to enhance your product with a snazzy new product package, or fancy logo or a strong, impactful tag line, it all goes a long way towards product/brand differentiation. No thriving company is exempt from this challenge. In fact, AvLab's Clear View brand has and continues to face the challenge of differentiating itself from its competitor Plexus. Let's face it - its a tough sale! Plexus has been around FOREVER...servicing the aviation industry for decades! Its reputation is built on its heavy foot print in the industry, a well known brand and dependable product...but its really never had any known competition. Until now! Quiet as it has been kept, there's an equally, if not more superior product that's been lurking in the shadows of Plexus. An equally, if not more, reliable, versatile, quality cleaning and polishing product - AvLab's Clear View! Clear View has been around for years and is quickly making a name for itself, stepping out of the shadows and becoming quite visible. And vibrantly so! Clear View products are designed to clean quickly and leave no residue, improving the clarity, protection, and shine of all surfaces. Clear View Plastic & Glass Cleaner has several advantages: it stays where its sprays, cleans any non-porous surface, its ammonia free so its safe on all types of plastic, and it doesn't streak or leave residue. Additionally, it softens bugs and bird droppings so even the toughest cleaning is easy! Clear View Plastic Polish & Protectant, a unique combination of waxes and solvents, is used to clean the surface and apply a thin protective coating. The solution fills in fine scratches, with no heavy residue or way build up. The solvent quickly spreads the waxes and removes any residue. Clear View Polish is safe to use on all hard surfaces as a quick polish or way. One can of Clear View Cleaner or Polisher is sold at a fraction of the cost of our competitors cleaning/polishing products. In fact, you can get an AvLab Clear View Starter Kit, including one can of each Cleaner and Polisher along with two Rain Wipes, for nearly the cost of one can of cleaner/polisher with our competitor! WE MAKE IT EASY TO CHOOSE! And so as we continue to explore the fine art of product differentiation, we opt for the most impactful words of encouragement for our new and existing customers: "IT WORKS!" When Performance Matters Most, Apply then Rely on Clear View!" its really that simple! We don't want to complicate the buying process so we offer non-believers an opportunity to try it out. We get it...you need to know: Does it really work? Yes..it does! We've even been told that it is A-M-A-Z-I-N-G! Just read product review by Jeep.FunTimesGuide.com. So there you have it: Clear View - Better Price. Better Performance. Better Product. We make it easy to choose. Choose Clear View...IT WORKS! Check out our commercial to learn more about Clear View. Go online to www.avlab.com to order your Starter Kit and share your Clear View Experience via our Facebook page. Please include pictures! » Its a New Year...How about CHANGE? 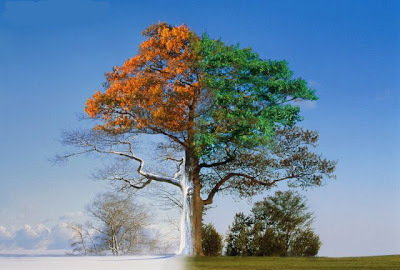 Haven’t you noticed…time has sped up…days are shorter? Okay, so maybe not quite, but don’t you find it hard to believe there are still 24 hours in a day, 7 days in a week and 365 days in a year? So if time has not sped up, what accounts for the shorter hours, days and years? Change! Turns out, it’s not time that has sped up, rather everything as we knew it has simply changed – faster, stronger, smarter. Change is a constant that is moving faster than ever before and well, some of us are having a difficult time trying to keep up! What is change? Change is both a deliberate and natural action. Deliberate change can yield a specific desired outcome, or unexpected outcome born of “blind faith”; however, more commonly and possibly most impactful, natural change, yields uncontrollable, sometimes unpredictable, yet measurable outcomes that either you keep up with or you fall behind. Change is what keeps us fit – physically, psychologically and emotionally – it keeps our bodies in action, chasing our dreams; it keeps our minds focused on methods for improvement, adaptation, and better efficiencies; and it keeps our hearts pumping with desire! If you’re not changing, you’re going no where, except for where natural change will inevitably place you. Change is unforgiving, unremitting and unequivocal. Change will tear through those not ready for change, surpassing those moving slower than the change itself. But will be a welcoming presence for those who are ready and embrace it! Depending on your perspective, change is like the constant of the sun’s rays to each new day, filled with possibilities and opportunities, or for others like a dark, thick cloud, dampening your spirit and overshadowing opportunities. Change can force you out of your comfort zone and make you stronger. Change brings about quick learning experiences – about the world, one’s self and possibilities. While many find change difficult to cope with or live through in some cases, change can be a fascinating force, colorizing the “stage” of life, bringing light to life’s hidden treasures, revealing earth’s grandness and strength, and shaking up the day-to-day monotony! And because of one of the greatest outcomes of change, technology, we are able to track, record and relive change and its impact in our personal, professional and public lives… everyday! As a company, Aviation Laboratories understands the importance of change - for the company and our customers. We depend on it to bring necessary conveniences and ease to our customers, streamlining their buying experience, enhancing their educational experience and overall, improving their AvLab Experience! We're prepared for change and all that it brings...are you?